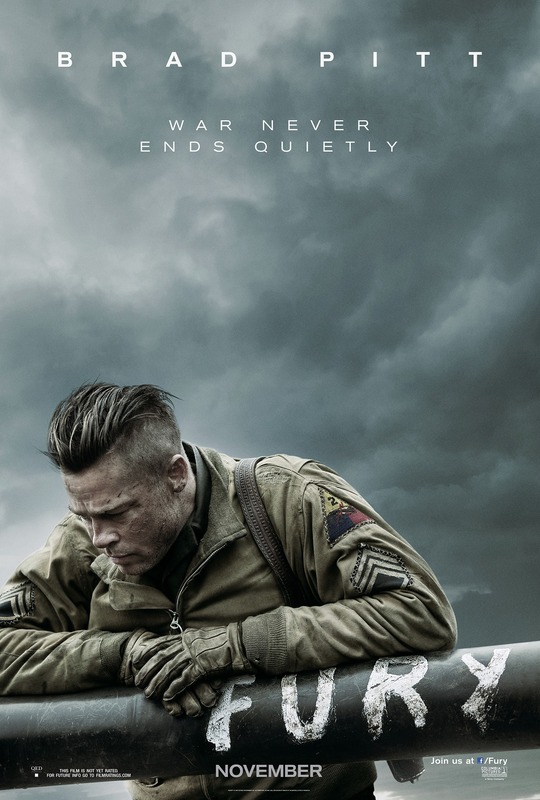 Typical of most American war films, “Fury” glamorizes war and evokes a sense of often biased patriotism. A legendary battle between five American soldiers and 300 Nazis and a lot of dead Germans is enough to get the average adrenaline junkie pumped to be American. While this isn’t necessarily a bad thing, it reduces what should be a serious war film into something far-fetched, comparable to “The Expendables” (2010) or the “The A-Team” (2010). What it does well, however, is peek into the dark side of war via its grotesque battle sequences. Illustrating the desensitization of killing and dehumanizing the enemy, the brutalities of war are well depicted. This is best exemplified through Norman Ellison (Logan Lerman), a young soldier drafted and forced into the front lines. Harassed for his lack of experience and reluctance to kill Nazis, Norman is assumed a weak link. As the story progresses, however, his character slowly becomes desensitized to the violence around him. From vomiting at the mere sight of blood to mindlessly shooting and cursing the enemy, his persona is transformed. While the grisly film captures the horrendous nature of war, I appreciate that it also empathizes with two German civilians as well as – SPOILER ALERT – a young Nazi soldier who allowed Norman to live so as not to generalize the entire country as the enemy. From a cinematographic perspective, the sweeping camerawork was gorgeous, and the overall acting of the cast was superb. I was especially impressed with Shia LaBeouf’s character, who I typically find annoying (“Transformers” anyone? ), exceptionally intriguing. The same cannot be said of Brad Pitt. Although compelling, his performance is typical of his acting style, reminding me of an unpolished version of his Nazi-hunter character in “Inglorious Basterds” (2009). As evident in the review, there aren’t any serious criticisms of the film. Nevertheless, there are definitely areas that could have been fleshed out. For example, elaborating on the past of Wardaddy, the battle-hardened sergeant, could have added another layer to his straight-forward character. Symbolism of the white horse, if taken further, could have also added a poetic dynamic to the story. Without developed, vital details like these, however, the film strikes me as mediocre. Although entertaining, its linear plot line is forgettable.